Heroism is a term bandied about all too lightly. Teenagers describe the latest pop-sensation as their hero. Sports fans describe the latest world-class footballer, baseball-player or sprinter as their hero. And every so often, a short note in the media, or a new internet-based meme will try to portray unlikely people as heroes, including paramedics, nurses and other medical staff. 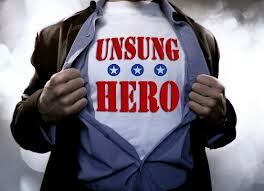 Whilst I agree that all are undervalued, the stretch to the point of heroism is a little bit far-fetched. I've written about it before. The fact that EMS finds itself at the bottom of the heap of the medical world is unfortunate and not a little unfair. Yesterday, I saw a tweet that described it thus: "Whether EMS is part of the health system, or public services, it seems as though we will always be treated as the red-headed step-child." From my experience and understanding, through either virtual or actual meetings with EMS providers around the world, the feeling is mutual across the globe. And this is coming from a (albeit balding) red-head. Still, I feel that to reach the point of hero-worship, as some seem to feel should be the case, cheapens the meaning of the word as well as the act of heroism. Overnight, as the fury of Hurricane Sandy hit the eastern shores of the United States, a hospital in New York City had to be evacuated after both its regular and emergency supplies of electricity were cut off. According to reports, 215 patients, from the youngest to the oldest and in all manner of medical conditions, had to be moved to other hospitals. Staff ventilated patients manually, keeping them alive. They changed mains-powered machines to battery-powered back-ups. They climbed down and up flights of stairs to the ninth floor to rescue the tiniest of neonates, as brittle and dependent as it is possible for a human life to be. Ambulance crews braved the weather conditions and risked their lives in a manner which the rest of the population had been ordered to avoid. Not just advised - ordered. That, to me, is heroism. It isn't the constant calls, it isn't even the life-saving calls. That doesn't make paramedics into heroes; it makes them damn good at their jobs, as they should be. It's the paramedic who, despite everything he has learnt, despite the awareness of the risks he is taking, jumps into a dangerous scene because he knows he can make a difference. It's the hospital staff who, when faced with the most serious possible crisis, don't walk away, but run towards it, armed with knowledge, skills, awareness and, no doubt, no small amount of fear. It's occasions like these that show the world the reality, the true meaning of heroism. I certainly didn't see any footballers or pop-stars there. We pull up to the entrance at the back of the hospital, reversing the ambulance into what is no more than a widened alley. Cats roam free, picking food out of overflowing rubbish bins. It's almost as though the levels of cleanliness are saved for the public entrances, leaving areas such as this one neglected and filthy. It's always a strange feeling wheeling an empty trolley bed off the back of the ambulance at hospital. There's a sense that we're doing something wrong, backwards, coming to take someone away instead of bringing them in. At this time of the morning, just past the point of no return but not yet quite within sight of the end, conversations are more a series of grunts and confused looks, reinforced by acknowledging nods at the offer of a cup of coffee. The hospital corridors are empty, an almost ghostly air circulating through the concrete block. The concrete was supposed to be covered when they built the hospital, years ago, but the money ran out. So now, in amongst the surrounding greenery sits a blob of grey, cold, ugly concrete, as if just waiting for a truck large enough to pick it up and take it away. The hospital looks only marginally better on the inside, but the eerie silence makes it feel just as cold and unwelcoming. The wheels squeak and click-clack over the cracks in the floor and as we reach the entrance to the unit, the doors open as though somebody watched us approach. "Morning lads!" Lorraine, a short, bespectacled, red-headed nurse had moved up to the wards from A&E, preferring the gentler nights up in the tower to the hectic unpredictability of the ground floor. She was permanently smiling, always alert, a slight Scottish lilt making her sound as though it was always lunchtime on a bright summer's day and the picnic blanket had just been laid out on the grass in the park. "You've come for Mr Sanders I presume?" "If he's heading into town for an emergency operation, then yes, we've come for him." Lorraine's voice suddenly takes on a serious tone. "Seems so unfair. Someone so young. He's my son's age. Early thirties. Don't know how I'd cope if it really was my son." We read through the paperwork, Paul and I, meet Dr McKenna, the anaesthetist who's travelling with us and discuss our options and a plan of action. "We're just trying to get him stable enough to transfer. Give him the best shot we can," says the doctor. "There's a chance he won't make it through the doors at the other end." "Is there any point moving him?" "He'll definitely die if we leave him here. He'll probably die if we transfer him. I'll take probably over definitely in this case." We walk into the room, the mood suddenly sombre and heavy. Mr Sanders, or Daniel as his mother asks us to call him, is unconscious and ventilated. Machines follow his every vital sign, gentle pings alternating with silence. For a time the only sound is the ventilator, its artificial lungs hissing life into Daniel making his chest rise and fall as though he is no more than asleep. Lorraine comes in with another nurse and they start to untangle the lines. Some feed him with life, some with pain relief, others just monitor. One keeps him sedated. The hospital machines will need to be exchanged for more mobile ones, a move filled with inherent risk. "This'll take a few minutes. Why don't you two go and grab a quick coffee. You look like you need it." "I'm not sure whether that's an insult or an attempt at being friendly." I look straight at Mrs Sanders and a hint of a smile crosses her face. I have no idea how she manages even that smallest ray of light as she sits here with her son. "Can we get you a drink too, before we go?" "No. Thank you. I'd rather just sit here. Hold his hand for a little longer." "You hold his hand, we'll get the drink." "Thank you. Tea, please. No sugar." Standing in the staff room gives us both a chance to reflect, a dangerous thing in the middle of the night. Seeing illness, misery and death so close may be routine in this job, but it's never easy, especially when we're both around the same age as the patient. We hear as the machines are switched over, the wailing alarms of those disconnected being silenced one by one as we head back into the room. Paul hands the steaming mug of tea to Mrs Sanders and she nods a silent thank you as she briefly lets go of her son to take the drink. One of the machines runs out of battery power almost instantly. "These damned syringe pumps! It's been on charge for the best part of 24 hours!" Lorraine's furious mood is so rare that it's almost funny, except that the setting was wrong. She plugs the pump back into the wall and scurries off to find another. It seems that no transfer happens without at least one of them running out of power on route. The monitor screen suddenly flashes red and several different sounding beeps happen all at once. The ventilator seems to be struggling and each time Daniel is moved even a little, his blood pressure and oxygen levels plummet. "Let's give him a few minutes to settle," suggests Dr McKenna. "We'll try again in just a bit." I call control to let them know that there's a short delay, but that hopefully we'll be on our way soon. When they ask how soon, the best answer I have is that it'll be as soon as it's safe. We try twice more to move Daniel across. Each time we do, his vital signs take a hit and we have to stop, wait for his oxygen levels to settle and then try again. Mrs Sanders sits and watches, silence speaking louder than words. On the third attempt, we get him across on to our trolley. The numbers are calm, the machines are quiet, Daniel seems settled and so are we. "Let's go, gentle as you can lads." Lorraine looks on, anxiety straining at her permanent smile. We walk the length of the corridor, almost reaching the doors, when the monitor starts it's ominous shriek once again. We wheel Daniel back to the room in a hurry, plug all the machines in to the wall to stop the batteries draining and wait. "No more." The voice is quiet. "No more. Please." "Please. I beg of you. This is torture for him. And for me. Please. Just let him be." Doctor, nurse and ambulance crew exchange looks, silent, searching looks, hoping for an answer where there is none. Finally, Dr McKenna agrees. "OK. No more. Let's get him back to the bed." Mrs Sanders sits down, relief and agony etched on her face all at once as we gently move Daniel back on to the hospital bed and reconnect all the machinery. She picks up the mug of still warm tea and takes a sip, then looks down as though embarrassed at what she had done. "I'll get you a refill, so you don't have to drink it just warm. Just give us a minute to make sure he's settled." "Thank you again. Could I have some sugar this time please? I think I need it." The tea is made and handed to a grateful Mrs Sanders, a new sheet placed on the trolley and we're ready to head back on the road. "Sheesh," Paul exhales. "I don't think I've ever had such a difficult time not moving a patient." The wheels of the trolley squeak, the click-clack noise as they traverse the cracks in the floor, and we head back out the same way we headed in. Through silent, ghostly corridors, trolley in hand, but bereft of a patient. Once again, the morning's UK news included a headline about a top-flight football player being caught drink driving. Ryan Tunnicliffe, who plays for Manchester United, was arrested after a crash on Saturday afternoon involving his Range Rover. In a momentary rage, I tweeted something about footballers having big money, big cars and small brains. Then, I remembered that this is not the first time that a story such as this had broken recently. So I dug into the archives. Or, if you prefer, Google. September - Guly Du Prado, who plays for Southampton. Charged with and admitted drink driving. Given a small fine and a short driving ban. June - Michael Johnson of Manchester City. Arrested on suspicion of drink driving. Convicted in September and given a slightly larger fine and a three-year driving ban. April - Jermaine Pennant, a Stoke City player. Handed a suspended sentence and a derisory fine, as well as a three year ban. January - Reading FC player Mathieu Manset, fined and banned after failing an initial and then refusing to be retested. Four footballers, guilty as charged, all this year. And those are after only a preliminary and brief search. That, along with the controversy surrounding Luke McCormick who killed two children in 2008 whilst driving drunk and recently released from jail, is a fairly damning indictment of the individuals themselves, but also, in my opinion, of the FA itself. The governing body of footballers in the UK have had some real problems on their hands recently - allegations of racism on the pitch as well as off it, in amongst them. However, the issue of drink driving doesn't seem to make headlines within the organisation. It isn't a new issue. Finding four in just this year doesn't even begin to look back at the long, miserable association that football in the UK has had with alcohol. Perhaps it's time that the FA looked deep into its soul, assuming it has one hidden somewhere near its bank accounts, and asked itself what exactly is it giving these footballers that they can't handle. Perhaps the courts need to realise that fining a player the equivalent of a couple of hours' pay isn't enough of a threat. Perhaps the police, the courts and the FA need to team up to deal with what is a very public problem, even if it is committed by private individuals. Whether they like it or not, and I presume they do, these individuals spend a lot of time in the public eye. That gives them extra responsibility, an extra burden on their shoulders. One that, I hope, their incredulous salaries helps to lighten the load. I don't begrudge them their salaries. If that's the going rate for a top-class player in their field, then good luck to them. Drinking and driving do not mix. 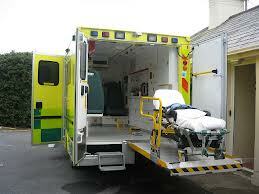 As a paramedic, if I was caught drink driving, my career would be over. And rightly so. I wonder how many of these all-entitled footballers would continue to act this way, if their career was also under the very same threat? A football appears suddenly in the street, flying out from between rows of parked cars, packed tightly in the premium spaces. The houses in this area have driveways the size of small streets, but still, cars are parked along the roads. Commuters perhaps, using the rare free parking to abandon their cars and walk the relatively short distance to the nearest station. The chance of a child following that ball are high so I hit the brakes and stop the car. I'd rather have one patient waiting a little longer than have to deal with an extra patient and spend a lifetime asking what-ifs. 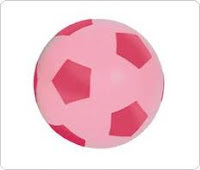 The ball stops in the middle of road, dancing a jig with the centre-line, playing a game of indecision. Seconds pass, but no child appears; no-one seems to want to retrieve the lost ball. It's an unusual one too: Pink. I'm sure someone is interested in getting it back, but time being of the essence, I get out of the car, move the ball to the pavement and head back on route to the call which is on the parallel street. I pull up to the gates, large, ornate and ostentatious, push the button on the intercom and wait. After a few seconds, the gates swing open like a pair of open arms, welcoming anyone who is granted access. The driveway is smoothly paved, as though it had only been tarmacked today and is lined on both sides by pristine grass that looks as though each blade has been measured with a ruler to ensure that they are all of the exact same height. The door, an immense work of art designed to impress as well as intimidate, is opened by a member of staff, perhaps a butler. Stepping in to the house is an exercise in wonder and envy. Every surface is polished, marble floors are scrubbed to perfection. A spotless kitchen the likes of which couldn't even enter my wildest dreams is just within view. He leads me down the corridor, past several reception rooms and to the back door of the house. It's inconsistent with everything else around. Just a simple, double glazed door leading from a corridor to the back garden, but as soon as it's opened, the grandeur returns. There's barely time to take it all in, the huge garden, the beautifully tended hedges and other plants. In the middle of it all there's a young girl lying on the grass quietly crying. Honey is six years old and as sweet as her name suggests. She's upset but not hysterical and is being comforted by her grandfather. He, in turn, is holding a wet tea-towel to her head. A crimson mark is starting to appear through the fabric. "Can I have a look, just to see what you've done?" Honey nods and I gently remove the towel. There's an open wound on her forehead that will need gluing or stitching back together and a quick check shows that there are no other injuries. She lets me bandage the wound without even the hint of a fuss. "It doesn't hurt me now," she says. "Grandpa told me that I was being brave. Am I really brave?" "You're braver than me! I bet I'd be crying a lot more than you if I got a bump like that on my head!" "I'm not crying because I bumped my head. I told you. It doesn't really hurt me now." "Oh, really? So why are you crying?" "I was playing with Grandpa and we were throwing my favourite ball. Then Grandpa kicked it and it went over the wall and into the street!" "I'm sorry sweetheart! I promise we'll get you another one as soon as they've made your head better." "I promise. If the shops are still open when we're done, we'll go together." Honey jumped off the grass as if nothing was wrong and, with me having cancelled the ambulance, we headed for the car. It was only a mile to the hospital, ambulances were scarce as always, Grandpa was happy to take a booster seat with him and Honey was thrilled at the adventure. We walked into paediatrics and waited for a nurse to take a handover. Honey kept asking questions about what was going to happen, who the people in the department were, and if it was going to hurt when they fixed her head. "Sometimes, it's like the Spanish Inquisition with that one!" Grandpa joked. "Always asking questions, always wanting to know more." "Guess she's a healthy six year old then," I said. "True, I suppose. Is it going to take long?" "I've no idea I'm afraid, but it doesn't look too busy." We stood in silence for some time, Honey taking in her new, temporary surroundings with Grandpa holding her hand. "Actually," Grandpa suddenly started, his voice quieter than before, "I've got one more question for you too." "Where on earth am I supposed to buy a pink football?"